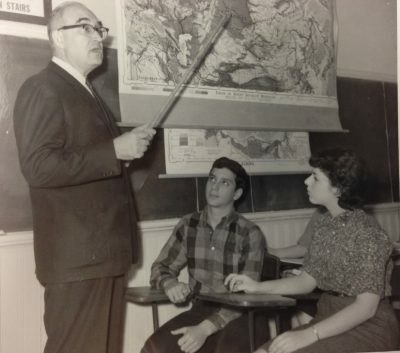 In 1962, Ukrainian-born Serge Zenkovsky, the head of Stetson’s Russian Studies program since its founding in 1958, organized a Russian institute at the university. Some area residents were not pleased. 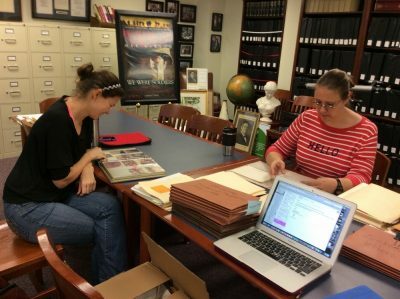 “In the archives are letters from locals who went to the institute — it seems to have been a big DeLand event,” said Mayhill Fowler, Ph.D., director of SPREES, Stetson’s Program in Russian, East European and Eurasian Studies (formerly Russian Studies). “Someone very anti-Communist wrote, ‘I just object to this event — it’s as if you’re saying that Communists have souls!’ ” Fowler said. That letter, as well as other archival documents and photos, narrative panels, student remembrances and more, will be part of an exhibit celebrating 60 years of Russian studies at Stetson. The exhibit will have its opening from 3 to 5 p.m. Friday, March 16, at the SPREES House at 249 E. Michigan Ave., DeLand, with current students giving tours at that time. Cultural credit is available. A panel discussion featuring four generations of SPREES alumni will be held at 6:30 p.m. March 16. Moderated by Professor of Political Science and SPREES faculty member Gene Huskey, Ph.D., panelists will discuss how Russian studies changed their lives. The panel will include former Pentagon worker Diane Disney, one of Stetson’s first Russian Studies students. Cultural credit is available. 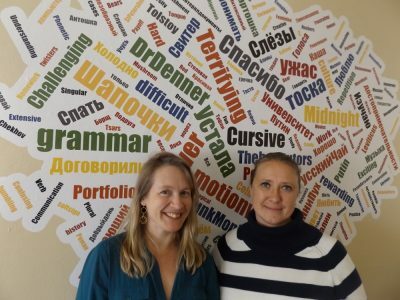 Mayhill Fowler, director of Stetson’s Program in Russian, East European and Eurasian Studies, and Katya Kudryavtseva, professor of art history in the program, pose beside a “word cloud” that will be part of an exhibit celebrating 60 years of Russian Studies at Stetson. The cloud, which includes both English and Russian words, was generated by students using terms they associate with the program. Zenkovsky was an ethnic Russian from Kiev whose family left around the time of the Russian Revolution. He grew up and went to school in Paris, earned his Ph.D. in Prague during the Nazi occupation and emigrated to the U.S. after the World War II. Zenkovsky was at Indiana University when he and his American-born wife, Betty Jean, “were wooed” to Stetson, Fowler said. At the time Stetson was affiliated with the Florida Baptist Convention. That affiliation played a role in landing the couple. Serge Zenkovsky became one of the pre-eminent Russian scholars in the U.S. His career would include stints at Harvard, Vanderbilt and other universities. Diane Disney had graduated from high school in southern Indiana and enrolled at Stetson in 1959 at the urging of her grandparents, who had retired in DeLand. Akin to that irate letter writer, Disney encountered people who questioned her motives. While Disney believes Russian Studies has benefited her throughout her career in academia, government and the public sector, she noted her background in Russian language especially aided her at the Pentagon, where for seven years she served as Deputy Assistant Secretary of Defense for Civilian Personnel Policy. “One of the things in my purview was working with former Communist-bloc countries to help them develop programs to educate civil servants as executives so they could have civilian control of the military, which is a basic tenant of democracy and essential for them to have NATO membership,” she said. The Zenkovskys left Stetson in 1967, and, after Paul Steeves arrived to direct Russian studies in 1973, the program began taking students to the Soviet Union in the late 1970s. Huskey arrived at Stetson in 1989 and promptly established an exchange program with Moscow State University: Stetson students would attend the Moscow school to learn Russian, and that school would send professors to Stetson to teach for a year. In the early 1990s under the guidance of President Doug Lee, the university received a $250,000 grant from the Knight Foundation, which was matched by the Jessie Ball duPont Fund. “Basically, Doug Lee was allowed to pick any program to apply for this money, and he picked Russian Studies,” Fowler said. The grants provided funds for visiting artists and lecturers, such as poet Yevgeny Yevtushenko and writer Tatyana Tolstaya, the establishment of the program’s own house, a full-tenured track line for Russian language, and satellite television. “Of course, satellite TV doesn’t mean anything now, but at the time having it so you could watch Russian language TV was pretty amazing,” Fowler said. 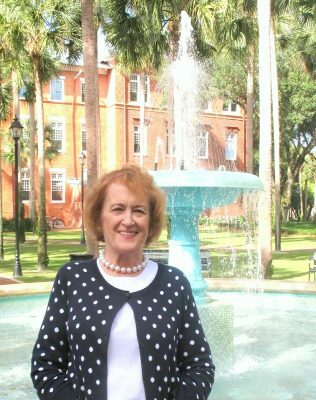 In 2014, the program changed its name from the Russian Studies Program to SPREES, Stetson’s Program in Russian, East European and Eurasian Studies. SPREES has six tenured or tenure-track faculty: Michael Denner, Ph.D. (who teaches language and literature), Katya Kudryavtseva (art history), Daniil Zavlunov, Ph.D. (music history), Jelena Petrovic, Ph.D. (communication and media studies), Gene Huskey (political science), Snezhana Zheltoukhova (Russian language), and Fowler (Russian and East European history). SPREES will have 12 to 20 majors in the program at any one time, Fowler said, while anywhere from 35 to 40 students will be taking Russian language courses. The 60th anniversary exhibit will be open 9 a.m. to 3 p.m. Monday through Friday until the end of the semester at the SPREES House, 249 E. Michigan Ave., DeLand. The exhibit is open to the public.